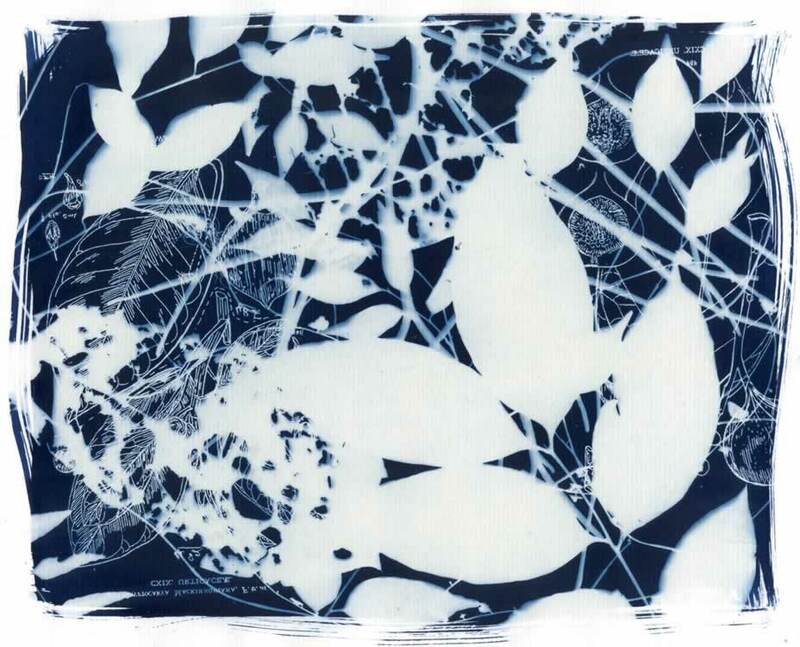 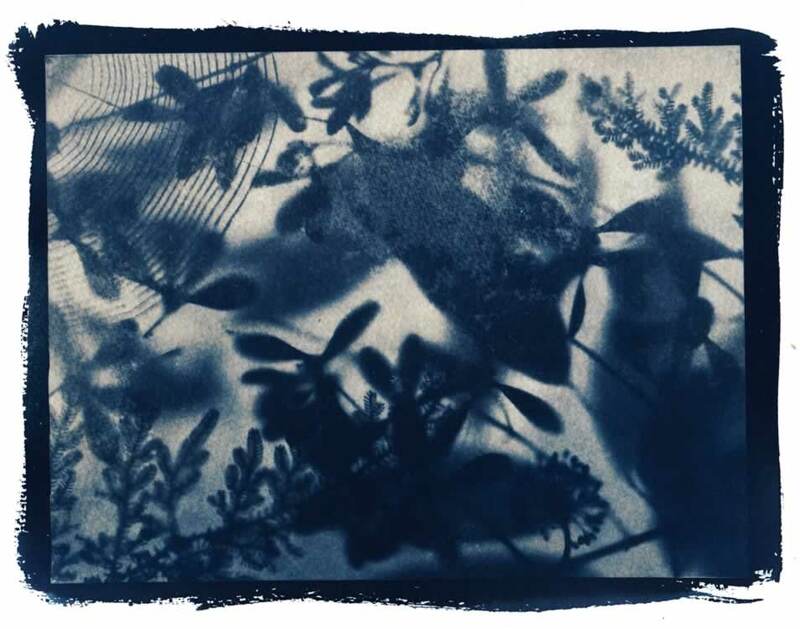 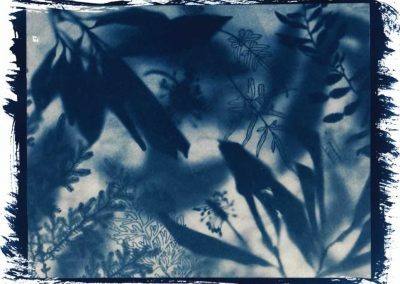 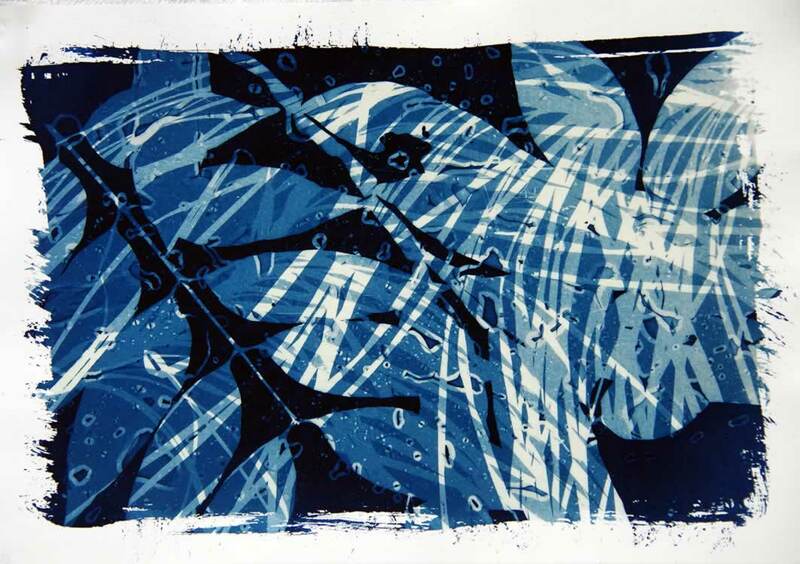 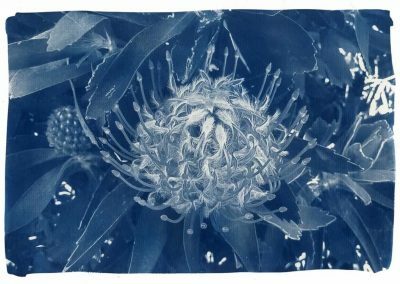 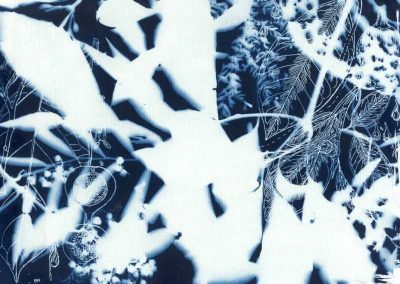 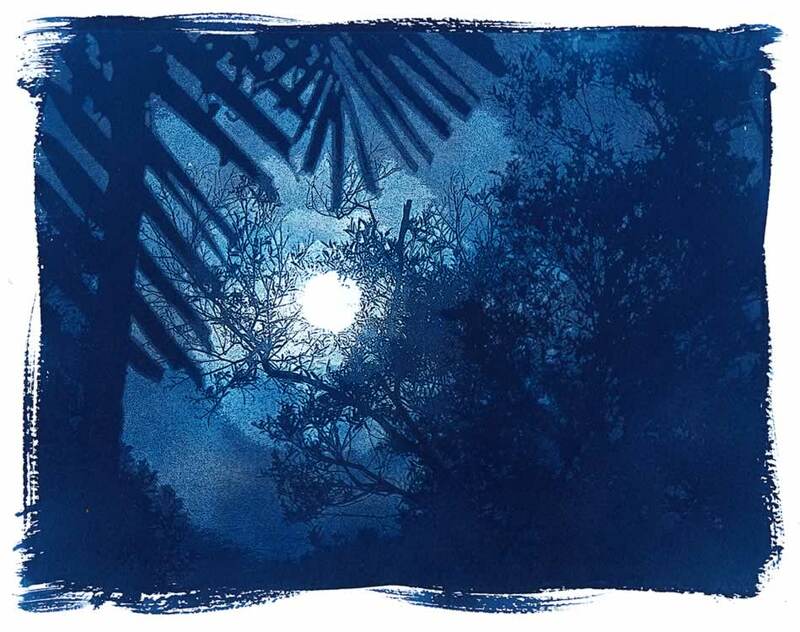 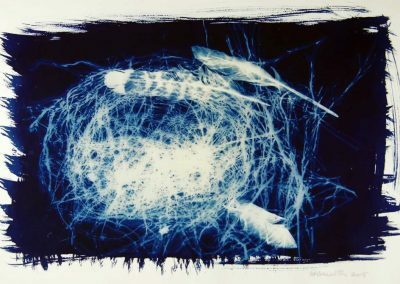 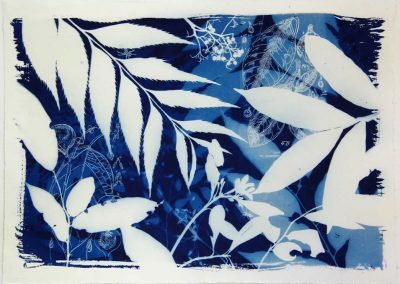 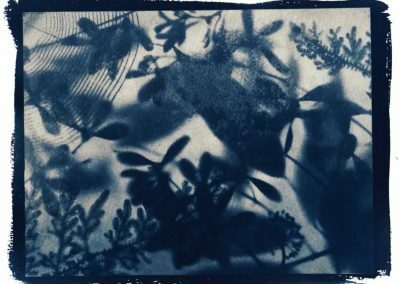 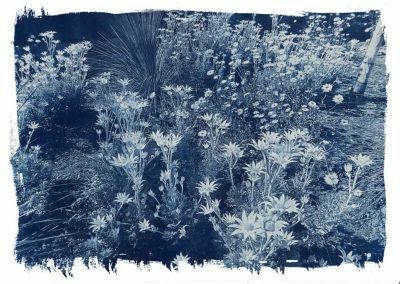 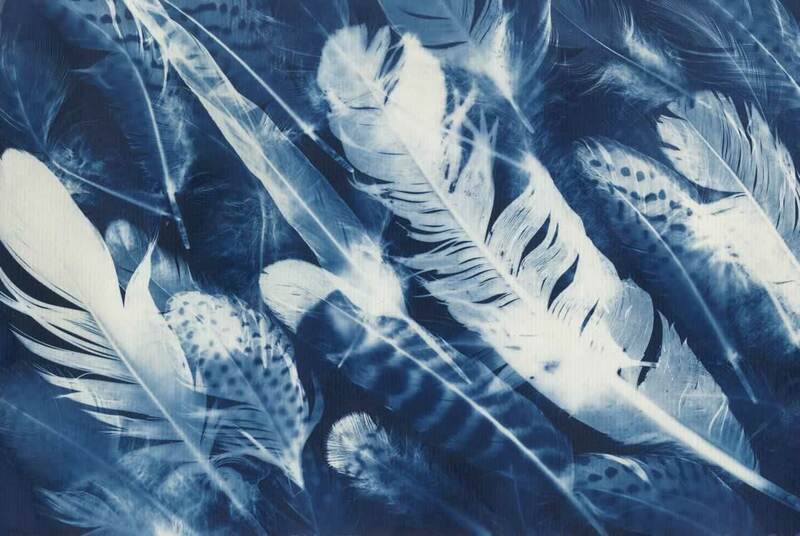 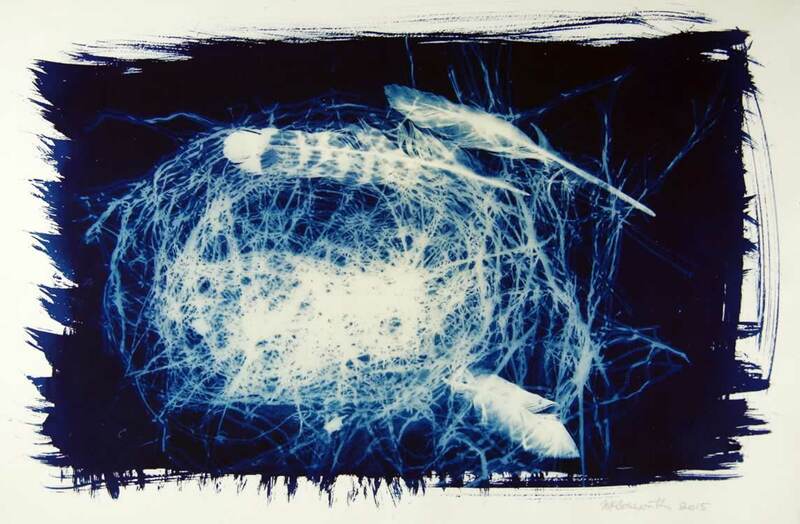 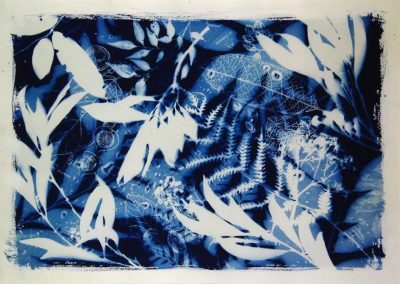 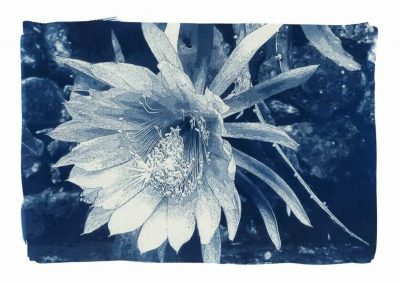 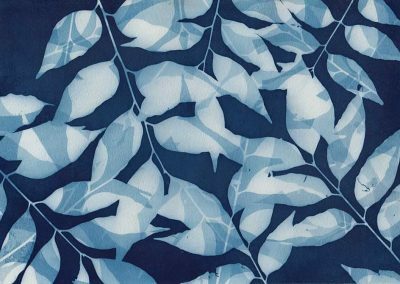 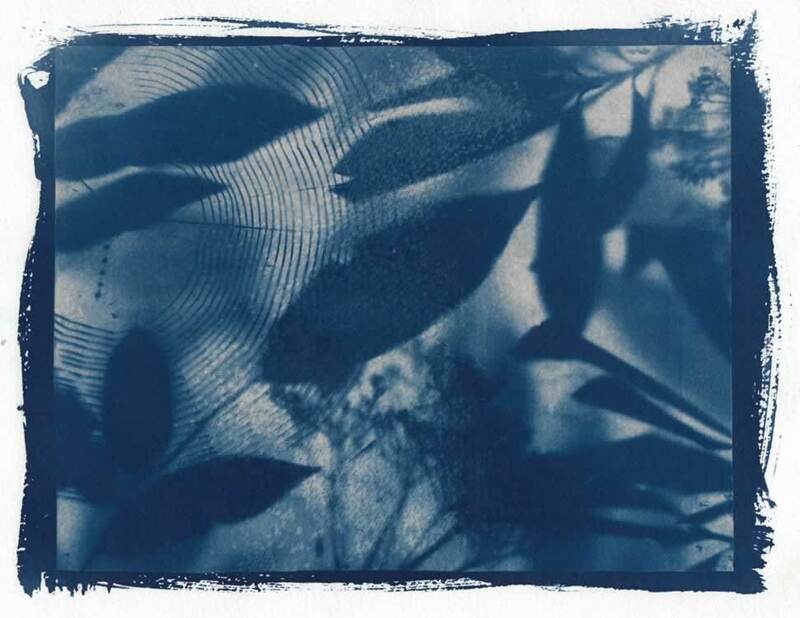 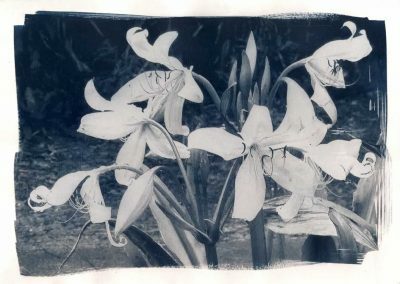 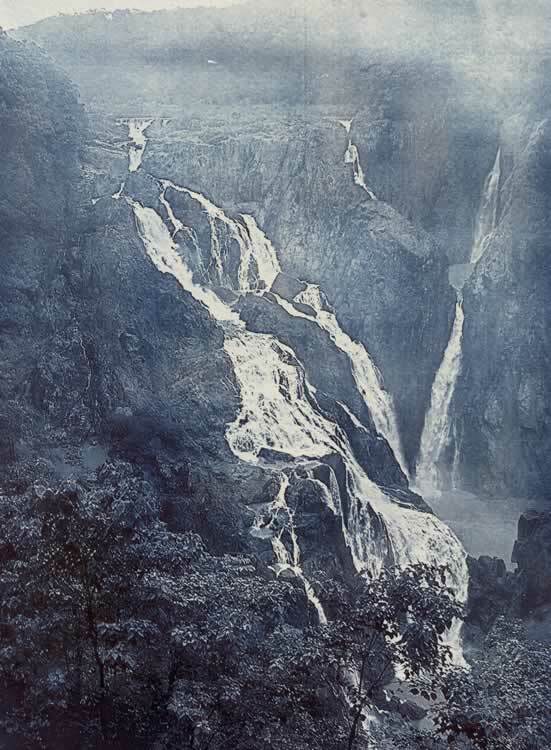 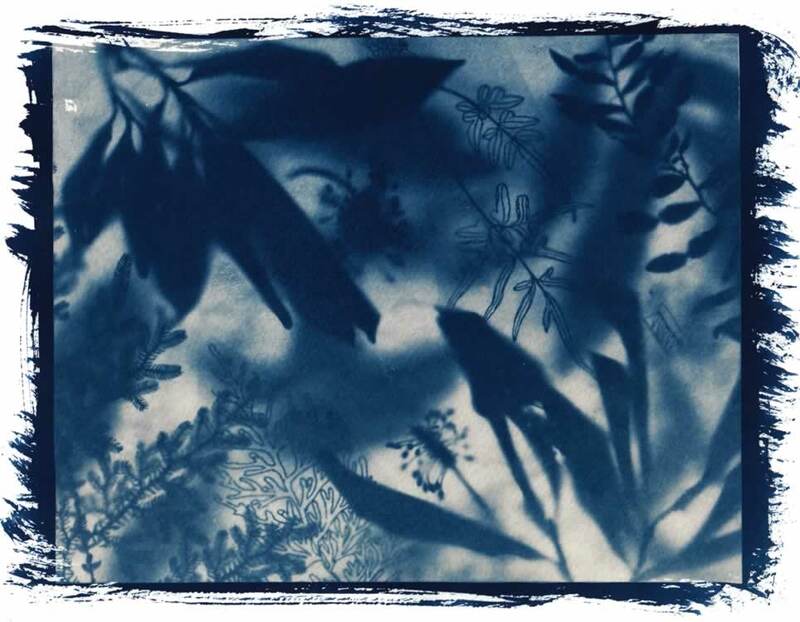 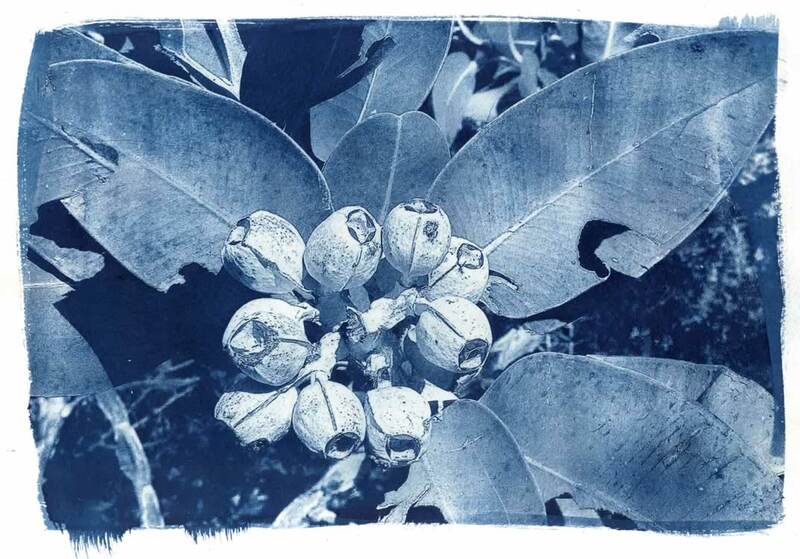 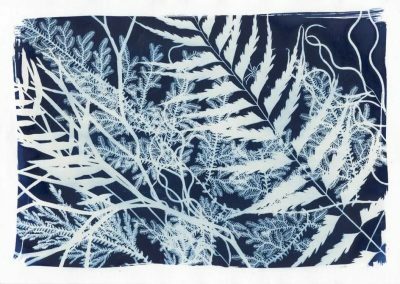 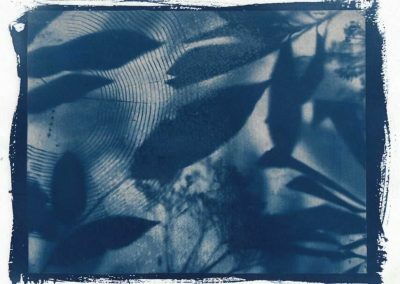 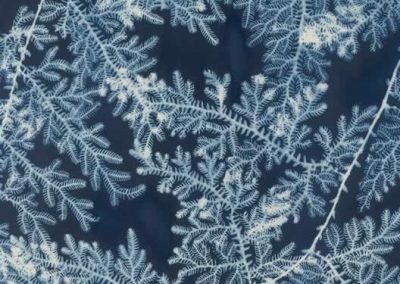 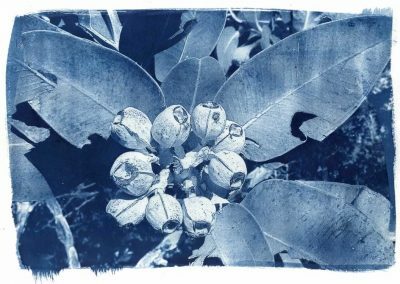 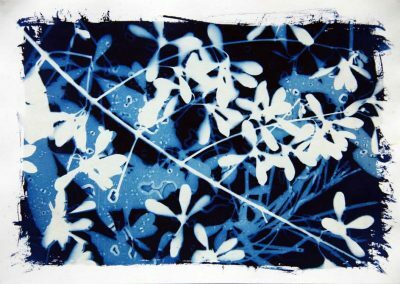 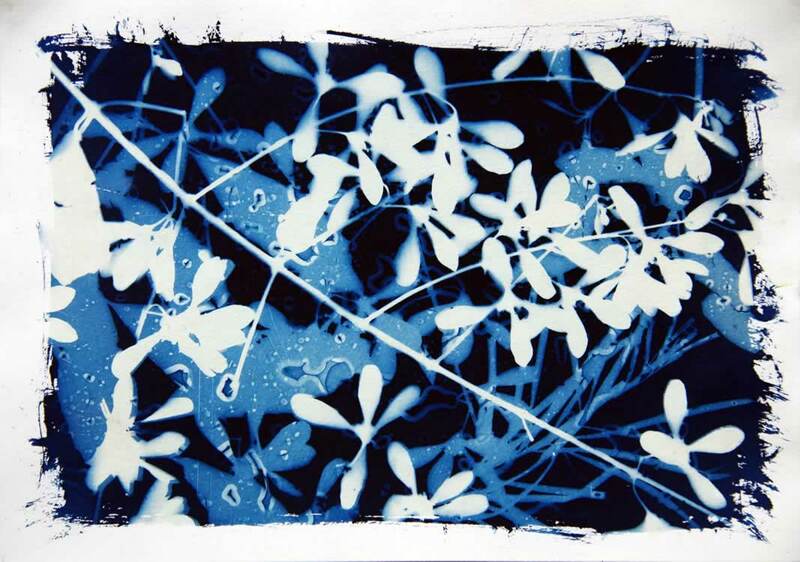 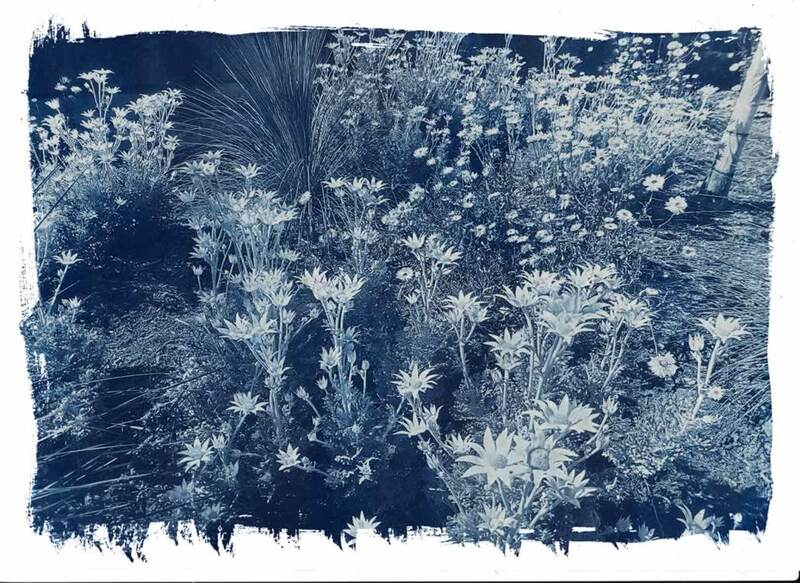 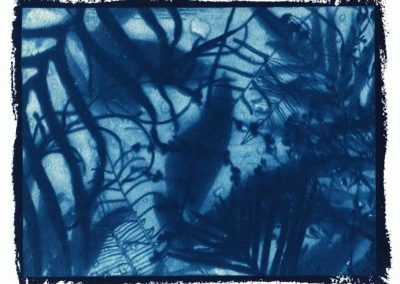 Cyanotype is an historic photographic printing process that gives a cyan-blue print. 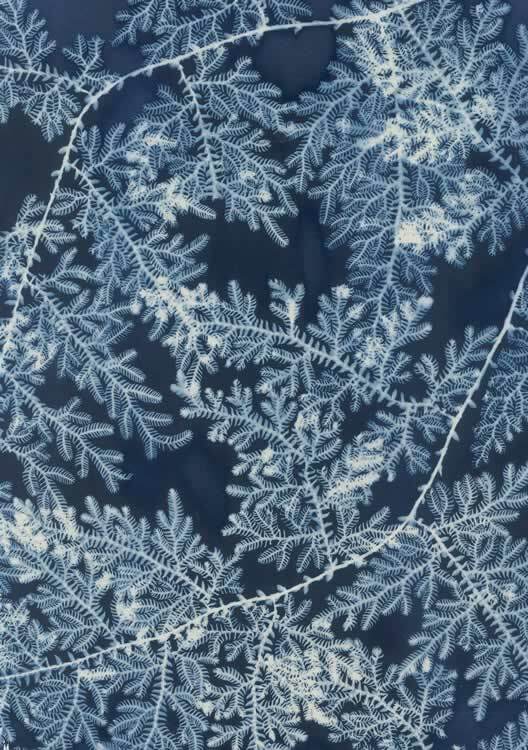 The process using two iron salts and the sun for developing, was discovered in 1842 by Herschel. 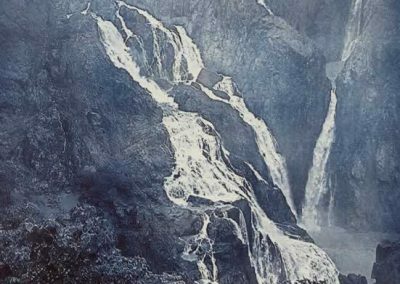 The process has changed very little in over 170 years. 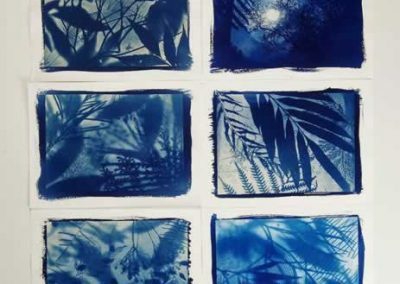 Each cyanotype is a handmade original. It is an intensive hands on process and each print is treated individually to give each one unique characteristics. 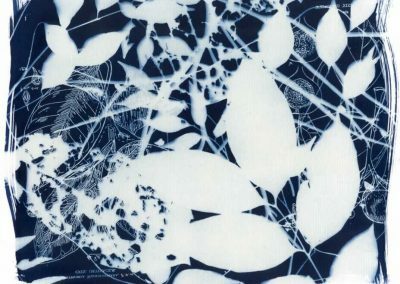 All my prints are direct photograms of objects or contact prints from digital negatives produced by image manipulation of original images from my collection. 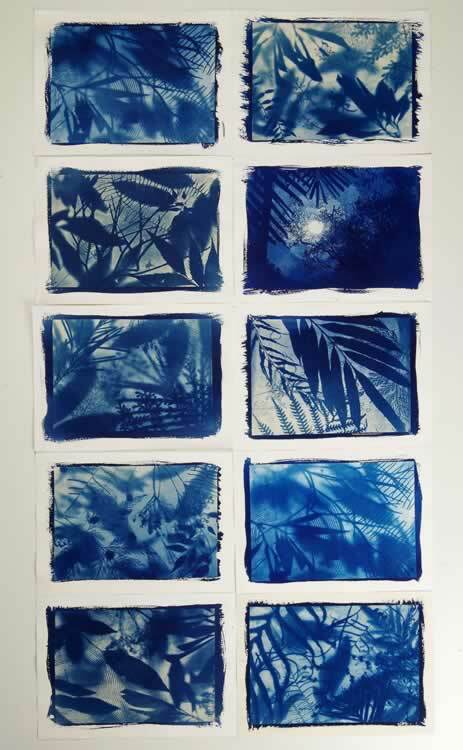 Blues can be reduced or toned with various household substances to give a range of colours. 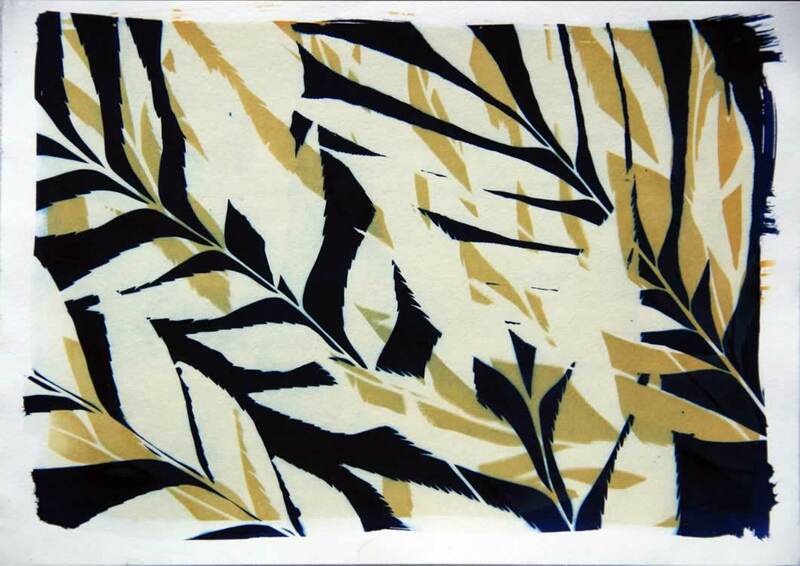 Prints are made on high quality watercolour paper and other handmade papers. 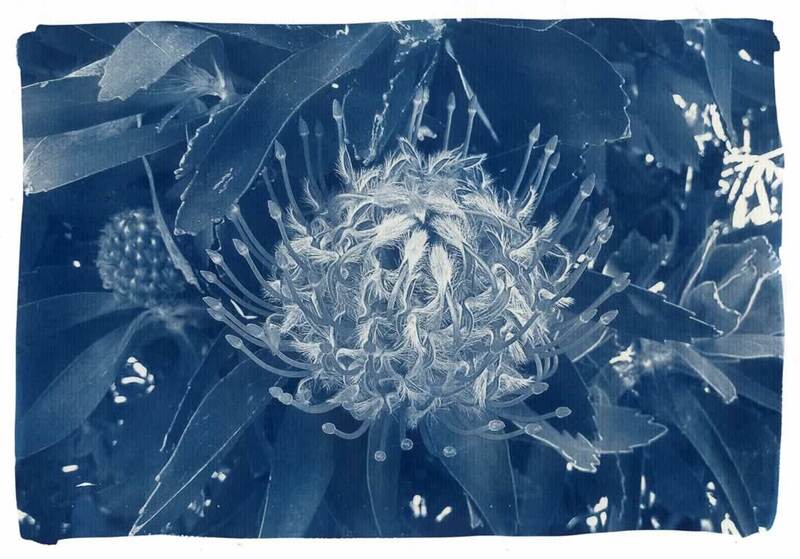 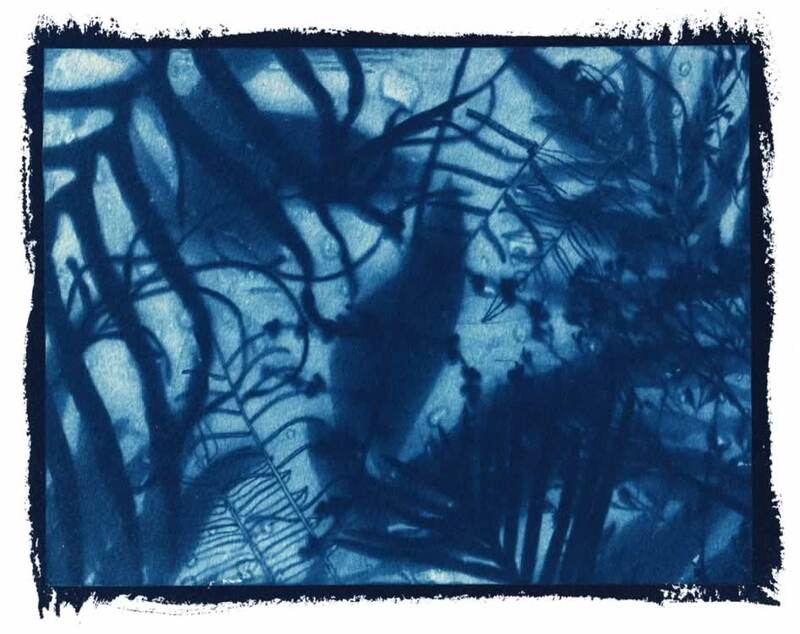 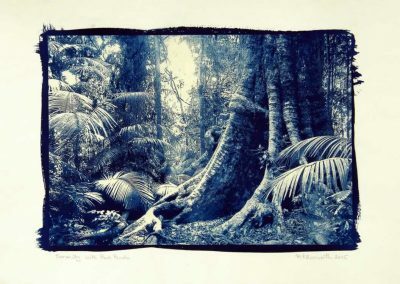 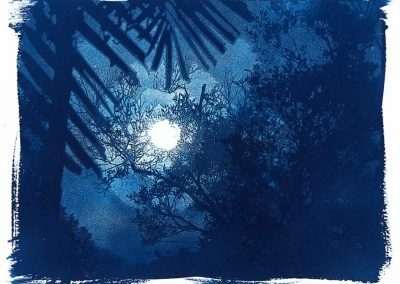 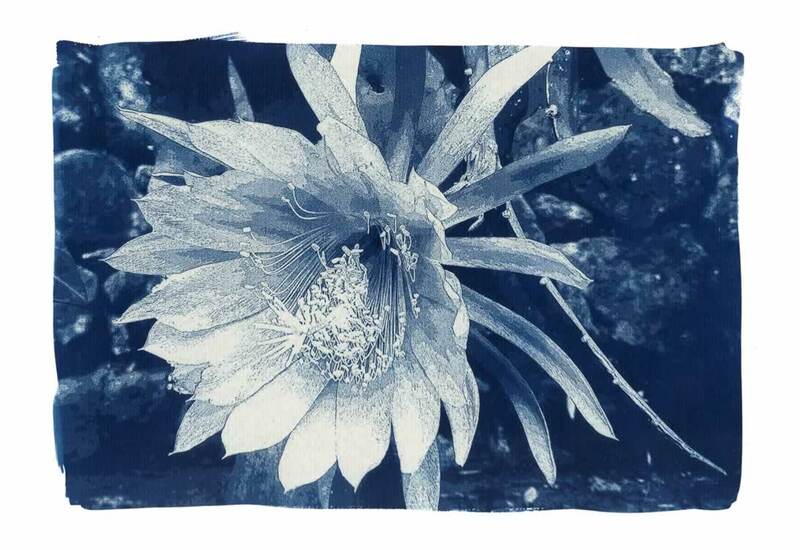 Cyanotype prints on paper favour a pH neutral or slightly acidic environment and non buffered mat boards.